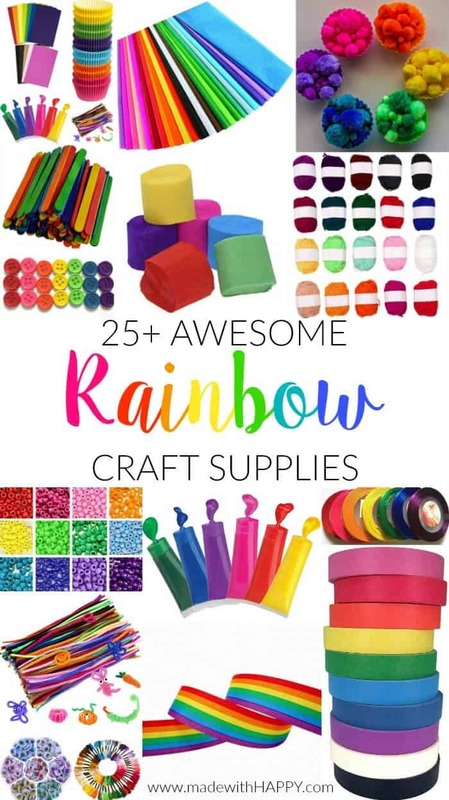 These 25+ Awesome Rainbow Craft Supplies will not only stock your craft closet full of endless possibilities, but full of color and fun. Those that know me, know that I love myself a stocked craft closet. 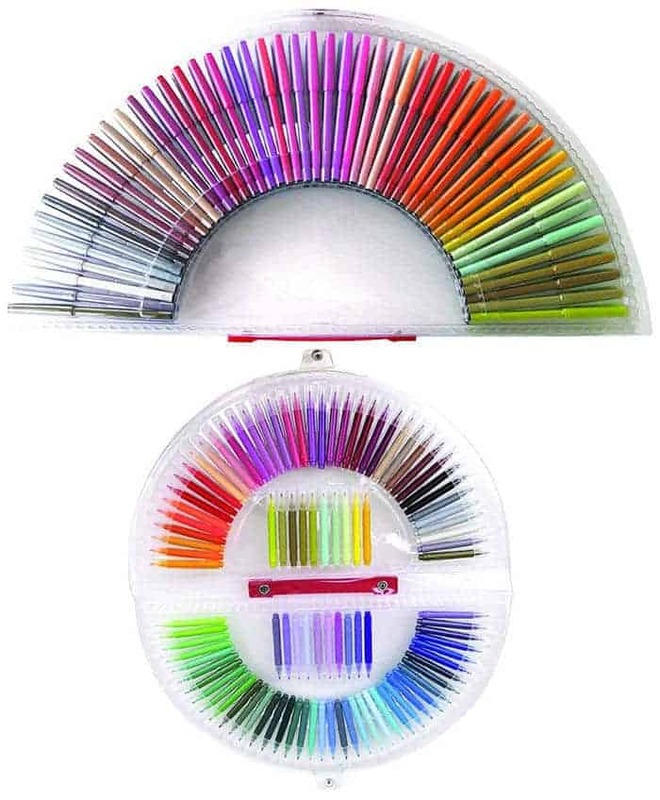 My “closet” is more a room at this point, but holy moly I love well stocked craft supplies. 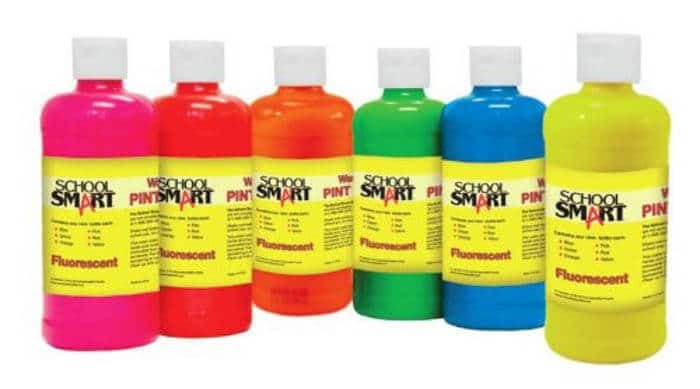 I get asked often about what supplies I have on hand to keep the kids busy. 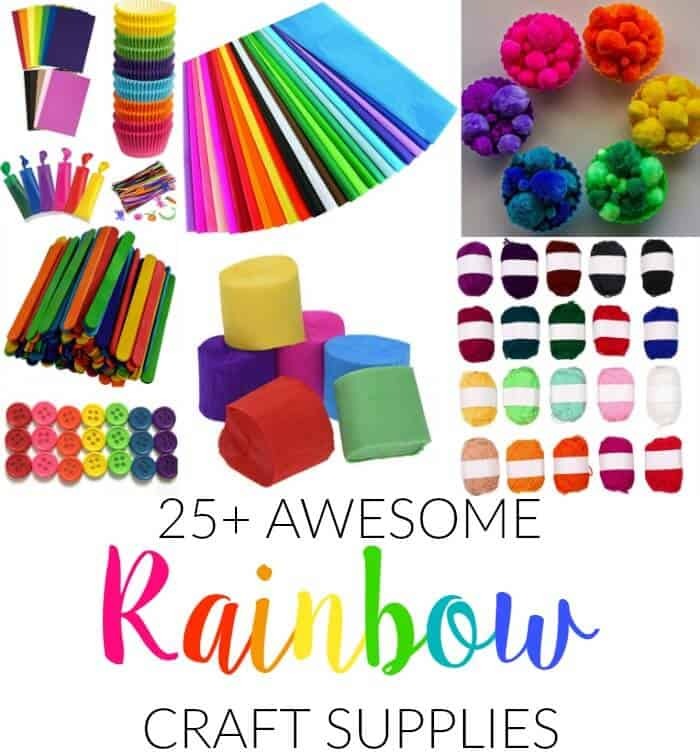 Rather than isolate just a few craft supplies, I put together a comprehensive list of basic (rainbow) craft supplies that I keep on hand that will keep your kids busy till the kids are off to college. 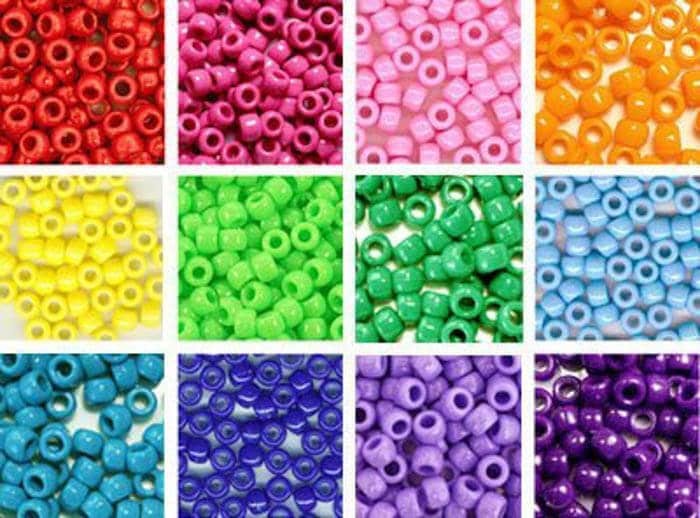 Pony Beads – These larger colorful beads are so much fun. 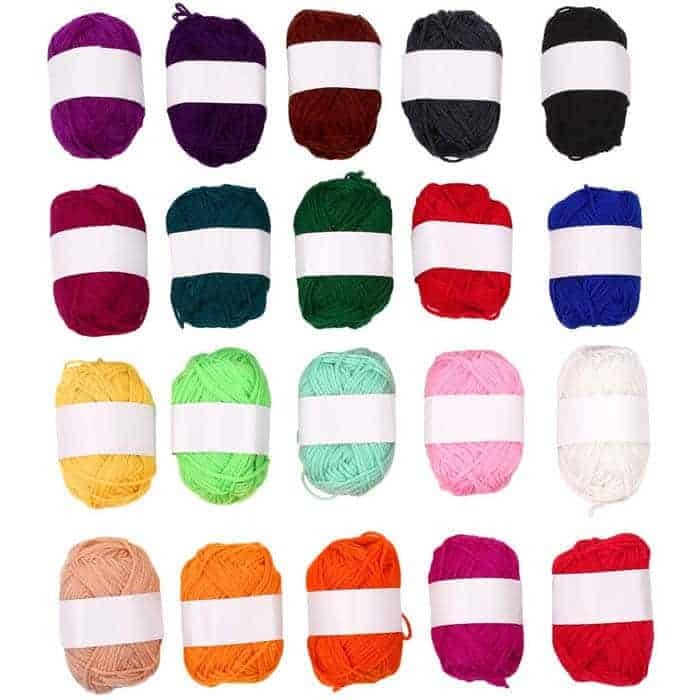 They add bright colors to any project and great for little ones in sorting, threading and other find motor skills. 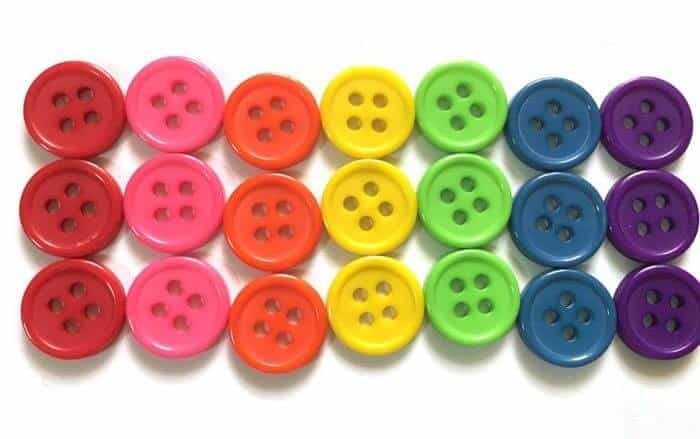 Buttons – What I love about having buttons on hand is that they add color and fun to not only sewing projects, but can be applied with glue for fun bling and faces. 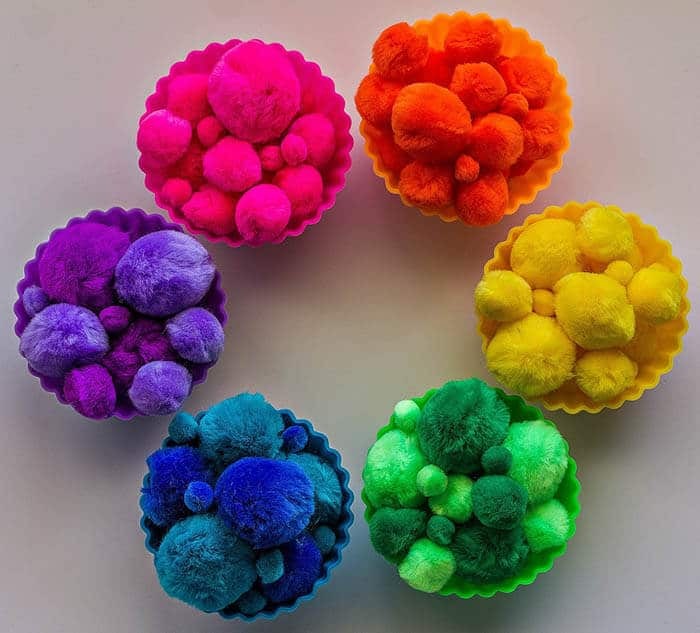 Cupcake Liners – We all know they can add colorful flare to your cupcakes, but there are lots of fun crafts that can can use cupcake lines including garlands, flowers, and decorations. 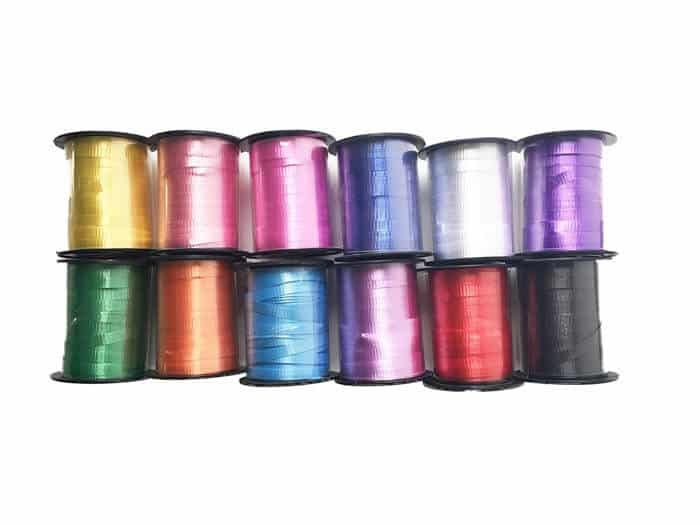 Satin Ribbon – Ribbons are great for gifts, weaving, wind crafts and so much more. 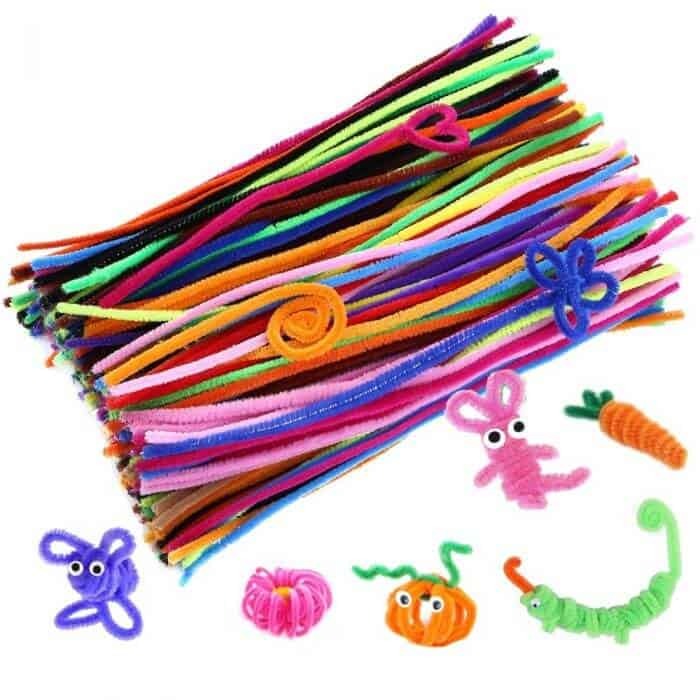 Pipe Cleaners – Pipe cleaners are a very versitile craft supply. 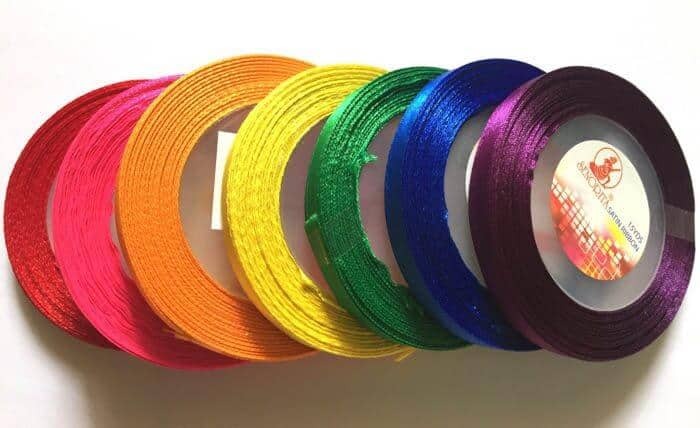 You can make things out of the pipe cleaners like pumpkins and animals, but you can also use them for antennas, or when making costumes. 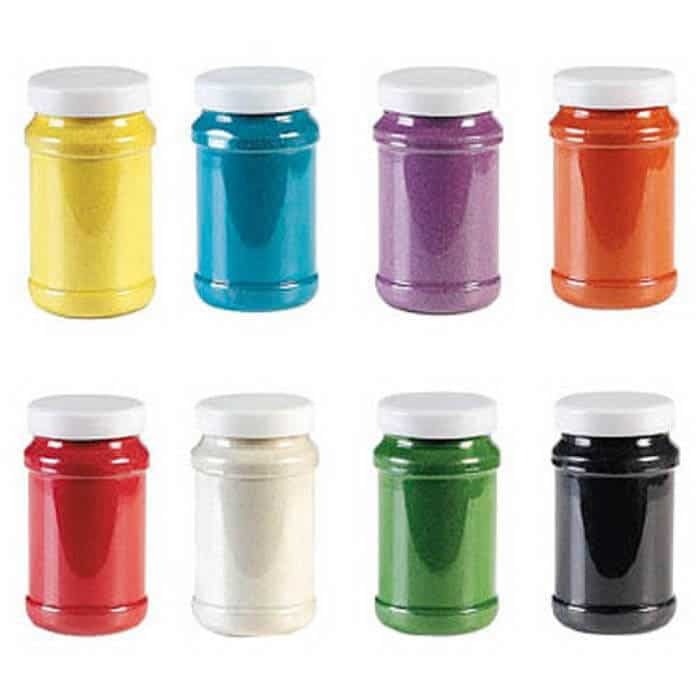 Craft Sand – Sand art can provide the kids a number of crafts from art work, to home made gifts. 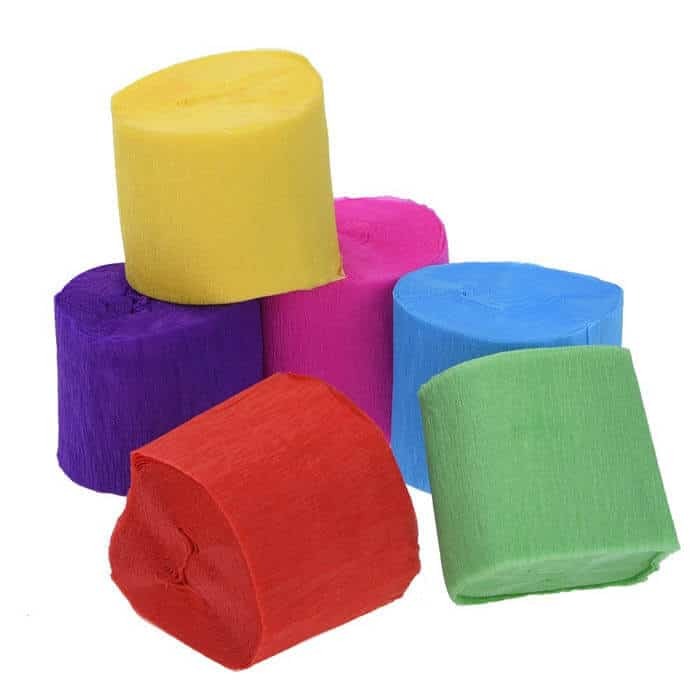 We love sand and definitely need to do more crafts with it. 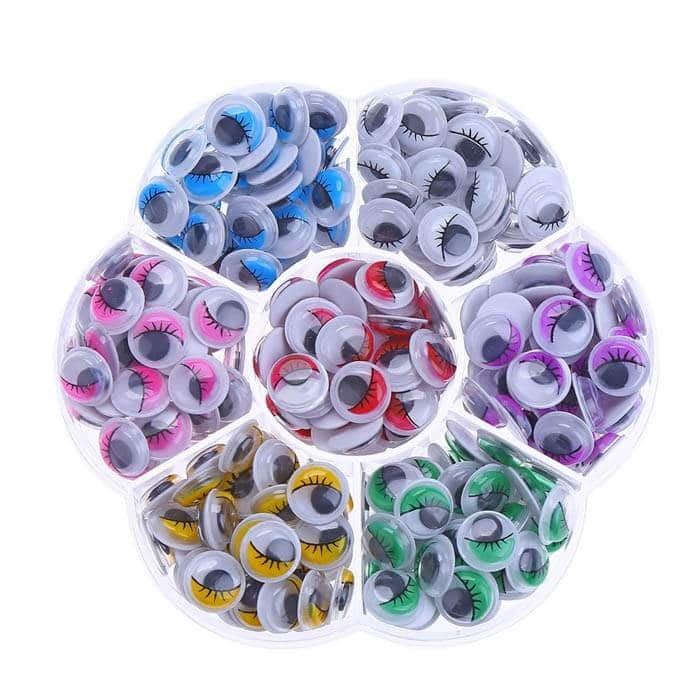 Googly Eyes – We love googly eyes, and who doesn’t love these rainbow googly eyes? 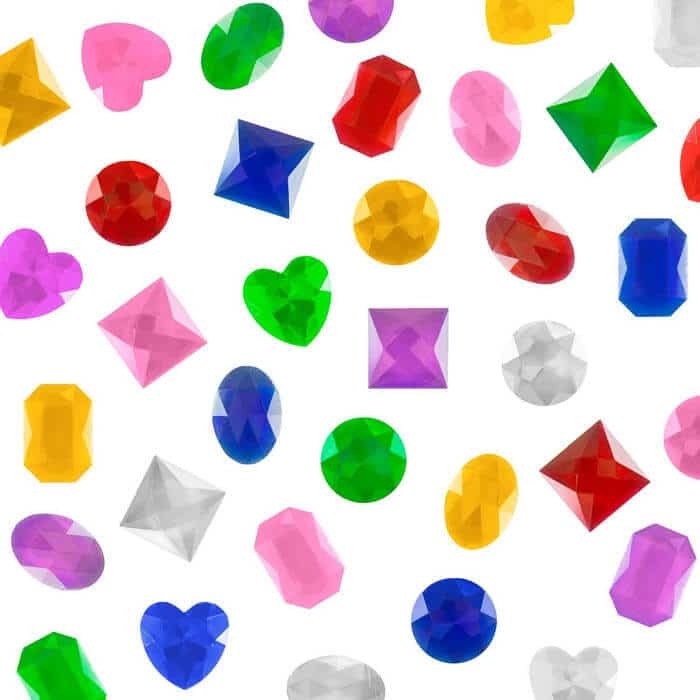 Sticker Gems – These are great when decorating frames, or making cards, or any gifts of any kind. 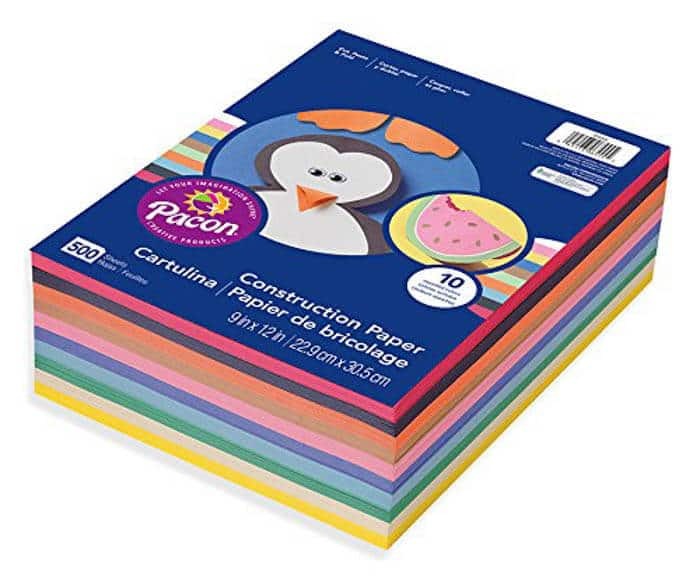 What kid doesn’t love stickers? 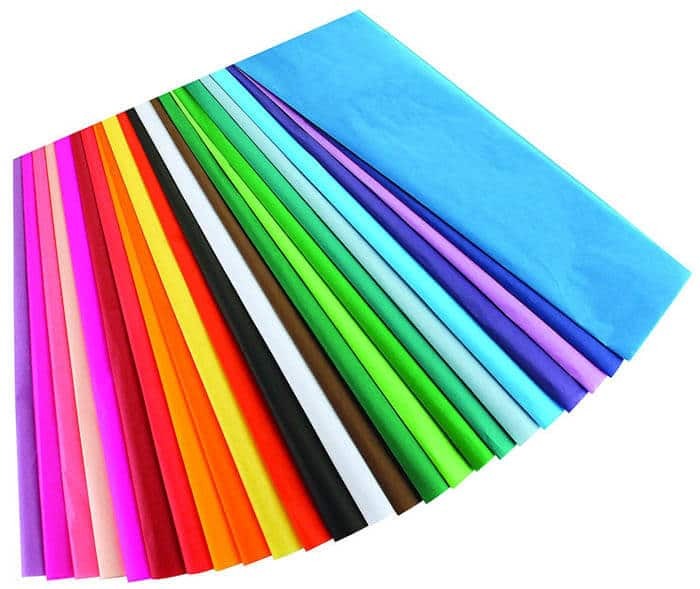 Crepe Paper Streamers – These are not only party decoration favorites, but they can be used in some fun crafts making flowers, pinatas and so much more. 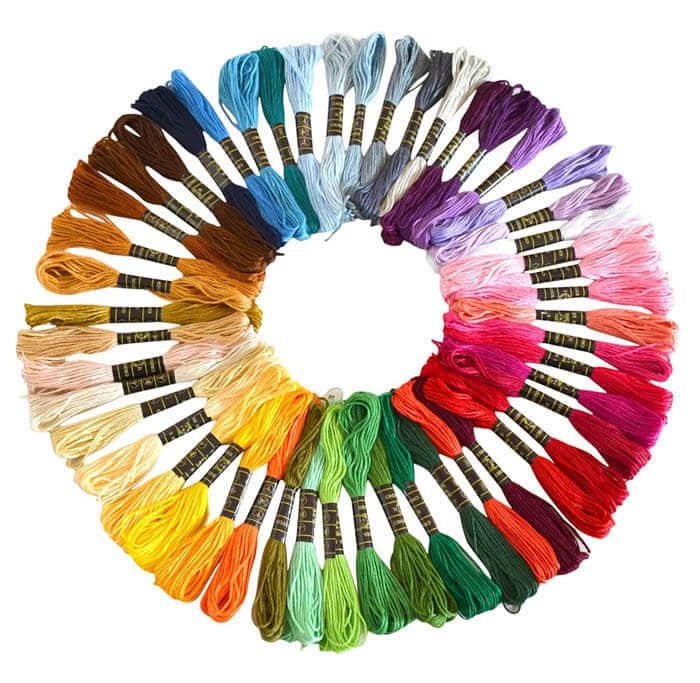 Embroidery Thread – Emboridery is a fun art and there are so many great patterns and stitches, but these beauties can also be used in craft for jewelry, friendship bracelets, and diy pom poms. 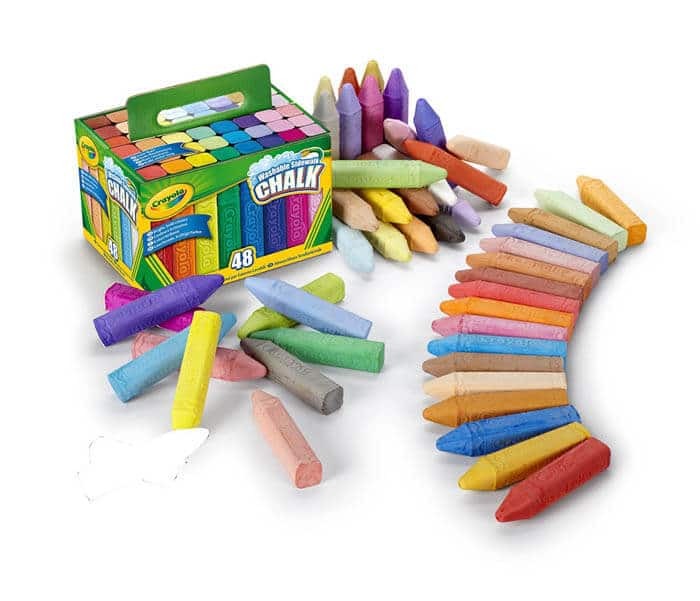 Chalk – Another one of those kid staples, chalk can provide great outdoor fun on the drive way, hopscotch, and we even use it for party decorations leading into the parties. 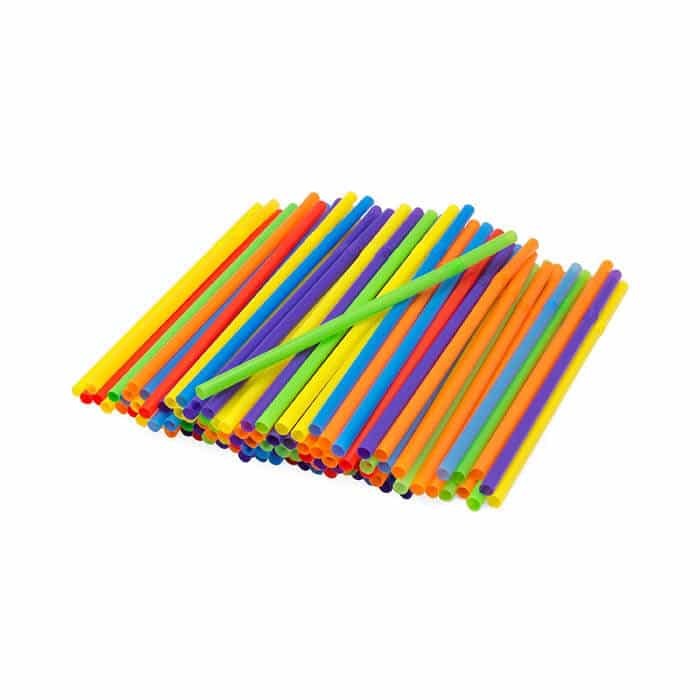 Straws – These are great for summer drinks and parties, but also fun for crafts, kid building activities, etc. 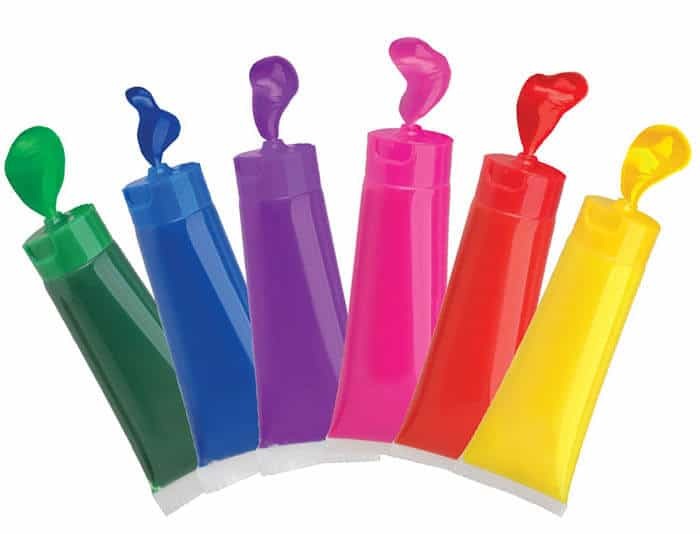 I find it very useful to always have a package on hand. 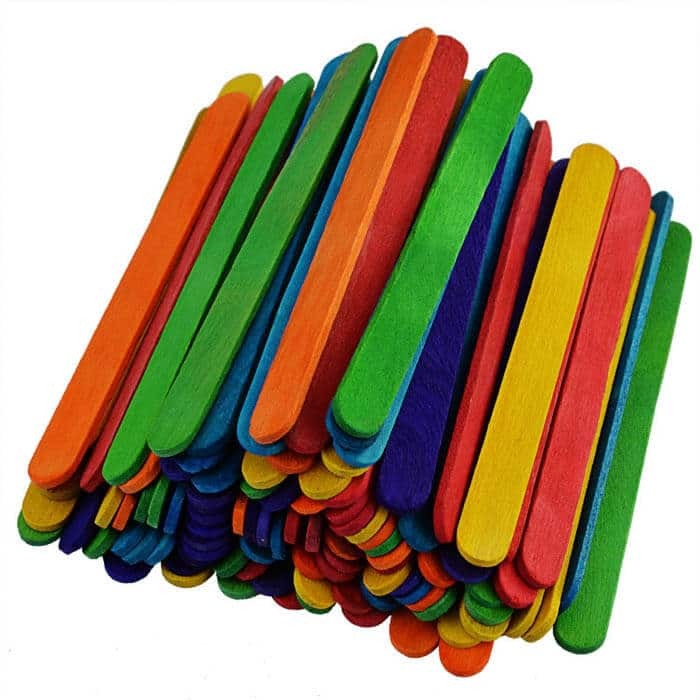 Popsicle Sticks – I feel like there are a 100 and one different crafts you can use these for. Flowers, trees, fans, puppets, etc. 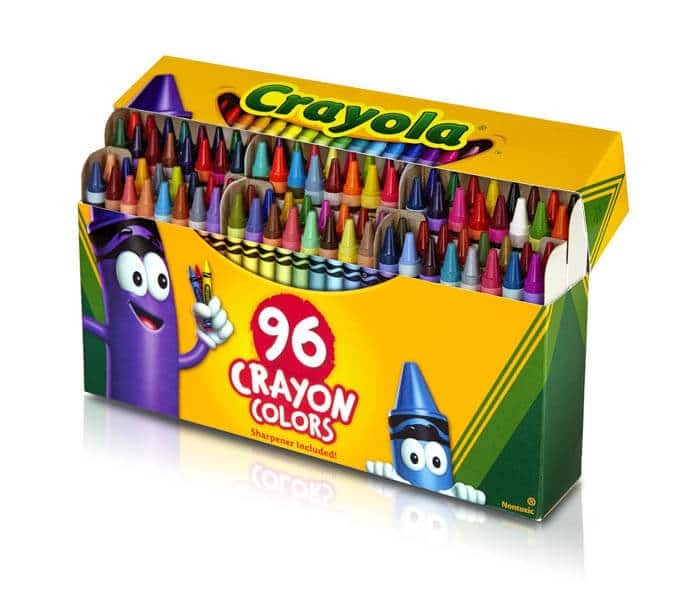 I always have a package on hand for the next craft. 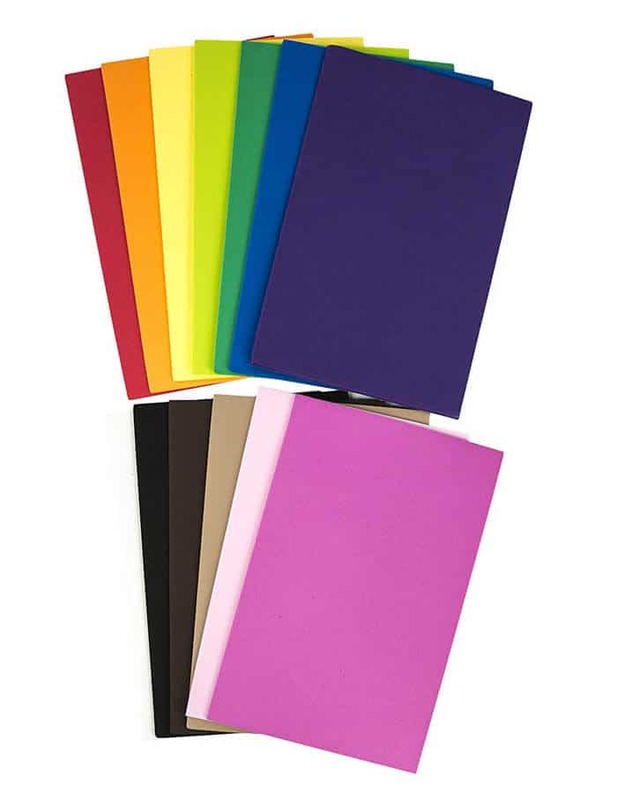 Foam Sheets – These are great for making cards, cutting out different items for art project and general kid crafts can be had with simple foam sheets. 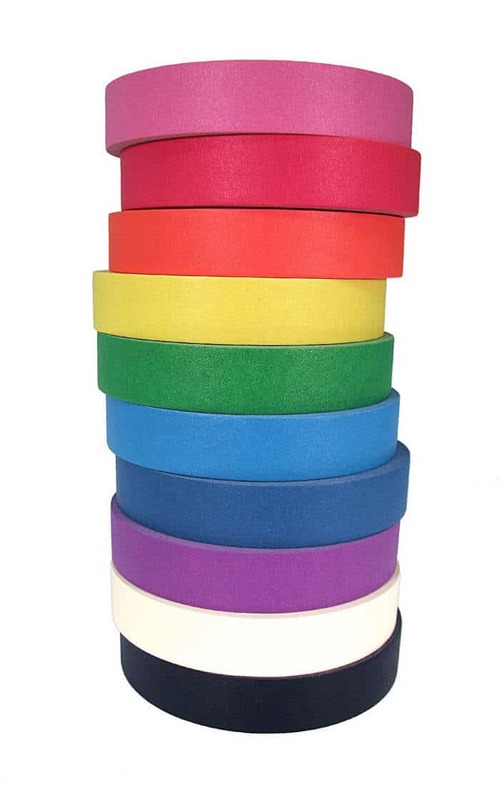 You wrote a comprehensive article and give us exceptional information about rainbow craft work. Please keep posting such kind of informative stuff.